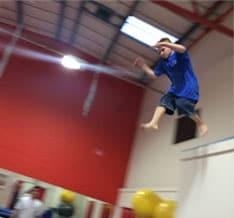 In FreeStyle Gymnastics (Parkour), you leap across a huge drop like it isn’t there, sprint up a vertical wall, then execute an epic back flip off the top. Are you showing off? Yeah, maybe a little. But isn’t that the whole point? Parkour is about total freedom. Combining elements from martial arts and stunt performance as well as gymnastics, with Parkour or Freerunning there are no rules or competitions. You learn the tricks you want to learn, pick the lines you want to pick, and express yourself how you want. You’ll start by getting to grips with some of the basic techniques and jumps. Then it’s over to you. Get creative; there are no competitions. Bronze membership of British Gymnastics, costing £17 per year, is a requirement for this sport. 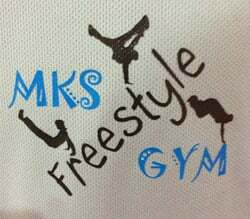 MK Springers provides a safe, friendly environment with professional coaches to help you learn. 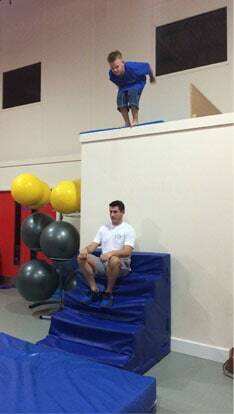 Gymnastics can be adapted to be inclusive for everyone, regardless of your ability. To book your 1 month trial, please click on the link below to choose a session. You will receive a warm welcome on arrival and you can stay to watch the first session. Note: Please ensure that your child/children are the right ages for the class of your choice before booking. You should be aware there are waiting lists on many classes. Please only book for your own child. If they have a friend who wants to try then their parent should book them in. Jewelry or earrings cannot be worn. Taped-over earrings are not permitted.